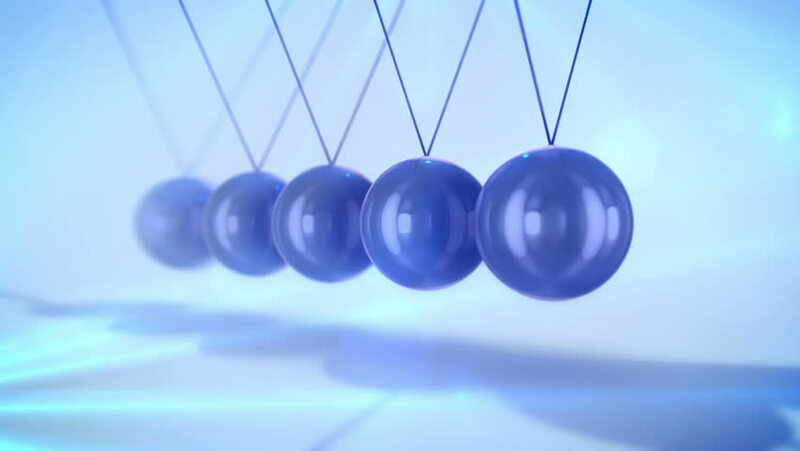 A magic 3d rendering of steel balls pendulum with waving diagonally beads hitting each other in a light blue background with blurred dots. They look wise and confident in seamless loops. hd00:12christmas balls fall crumble to the surface with depth of field. 3d animation for new year compositions or background.